Not many movies can make me cry, but "Born Free"? Damn, that turns on the waterworks. The song doesn't help, either. The movie is supposedly one of President Obama's favorites, too, and he admitted to welling up while watching it as a child when Elsa, the lion raised by George and Joy Adamson, is released back into the wild. Don't tell me you don't get a lump in your throat when she lopes after their Jeep, all "why are you leaving me?" 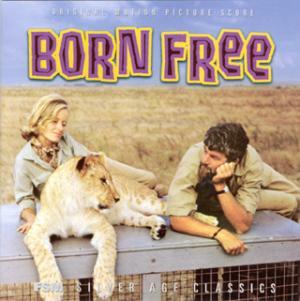 Anyway, mark your calendars now: On Jan. 9, 2011, PBS will show "Elsa's Legacy: The Born Free Story," about the Adamsons and the making of the film. PBS says "The program is a tribute to Elsa the lioness, probably the first environmental icon, who died nearly 50 years ago (Jan 24, 1961.)" I just put this on my netflix queue!